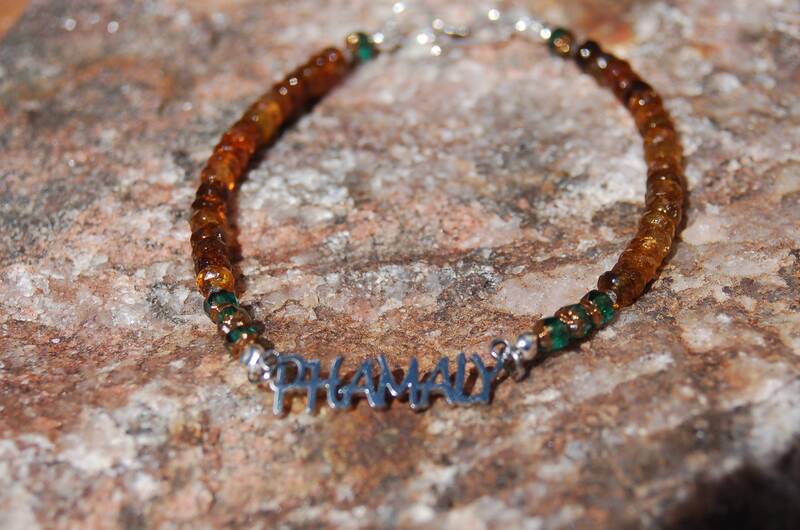 Order your PHAMALY Name Bracelet today! 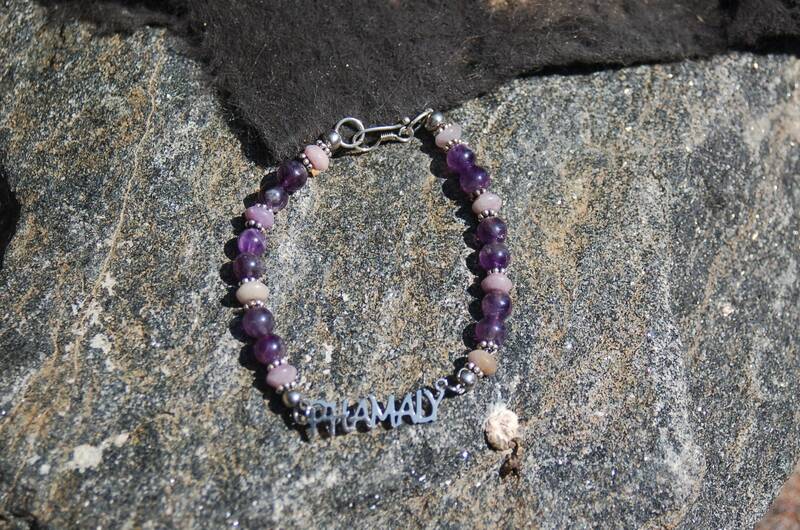 Choose your gemstone and bracelet size (see my article on tips for finding your size https://www.songsense.org/how-to-tell-what-bracelet-size-you-wear/. Also, comment if your favorite gemstone is not listed. 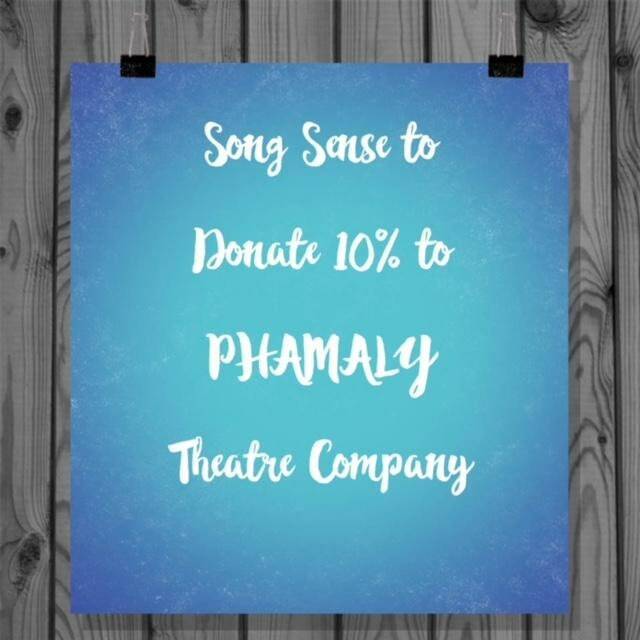 I will do a Reserved Listing for you. 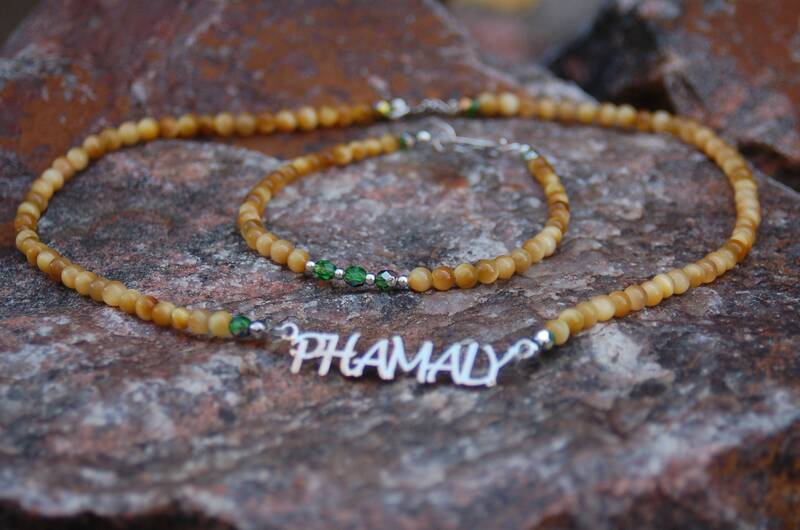 In celebration of PHAMALY's 30th Anniversary, I've created lovely minimalist bracelets with 4mm beads. Their are two featured in the photos. 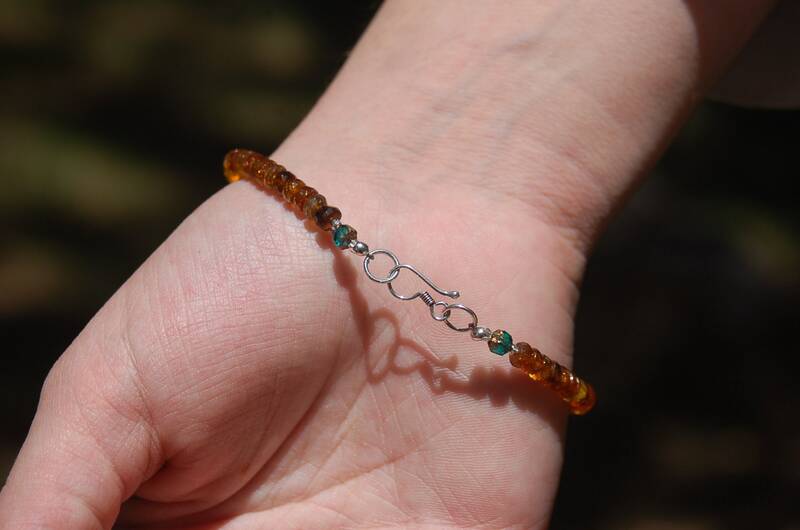 One is made with petro tourmaline and green cathedral beads. 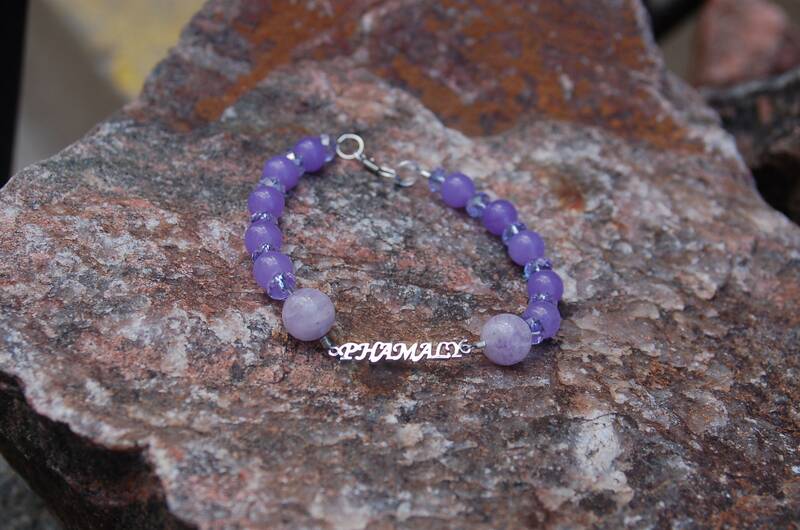 The other is made with two shades of amethyst. But I can make yours how you want it.